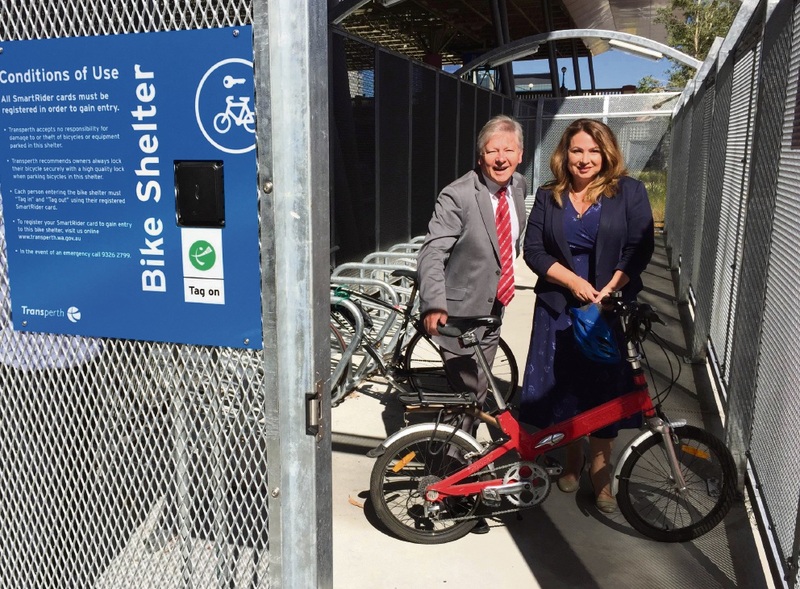 Bill Marmion and Perth MLA Elena Evangel check out one of the bike shelters. THE State Government has boosted cycling facilities at train stations. It has spent $330,000 providing 242 new bike spaces in shelter upgrades at nine stations on the Midland, Armadale, Fremantle and Mandurah lines. “Passenger demand for bike parking facilities has been increasing for some time and I’m an advocate for integrating bike facilities with public transport services,” Transport Minister Bill Marmion said. A further 13 upgrades will boost bike parking bays at stations from about 2800 to more than 3100. “With Transperth integrating its electronic SmartRider system with the bike shelters we can see how often the shelters are used and any constraints on their capacity, which means we can make upgrades and improvements where they will have the greatest benefit,” Mr Marmion said.